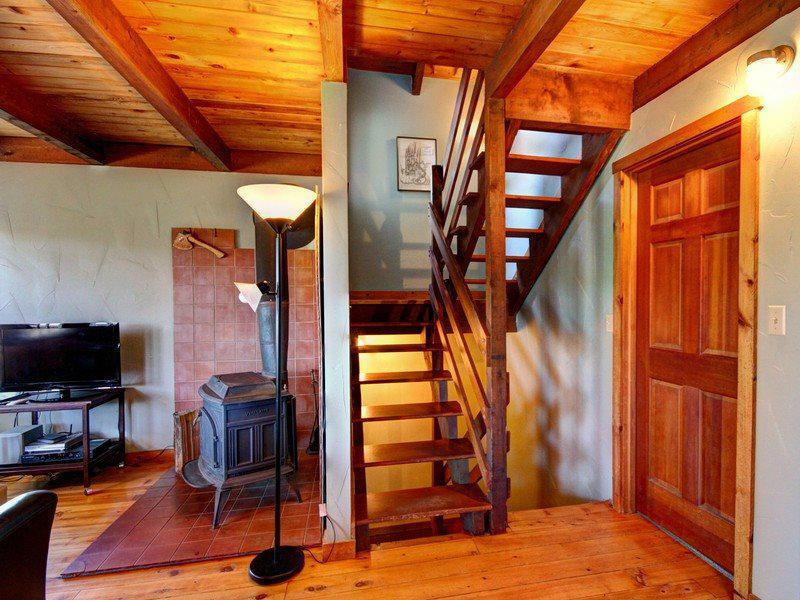 No matter the weather, you and your crew will delight in hunkering down together in this magical home, which looks a bit like it's been pulled right from the pages of a childhood fairy tale. 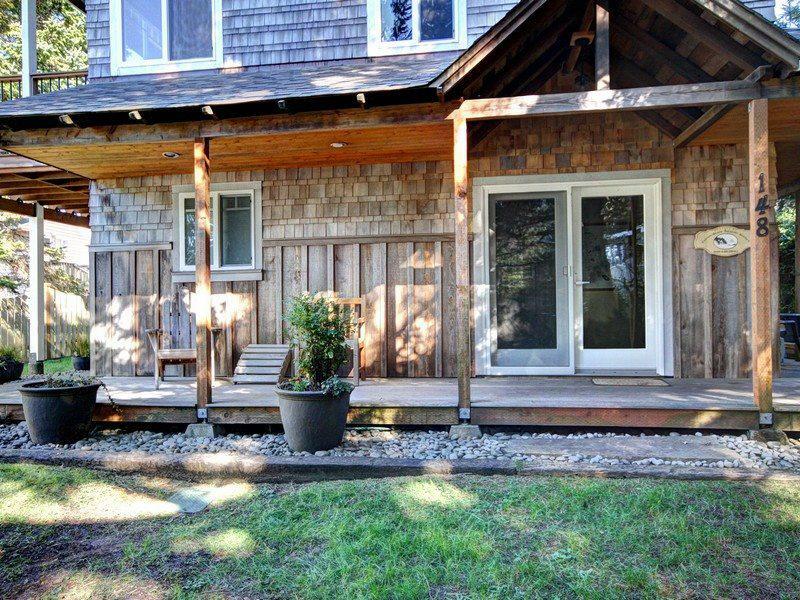 Robar's features a private yard and three surprisingly spacious stories, and it's all tucked cozily back onto a lot flanked by old, tall trees whose branches hang protectively down. 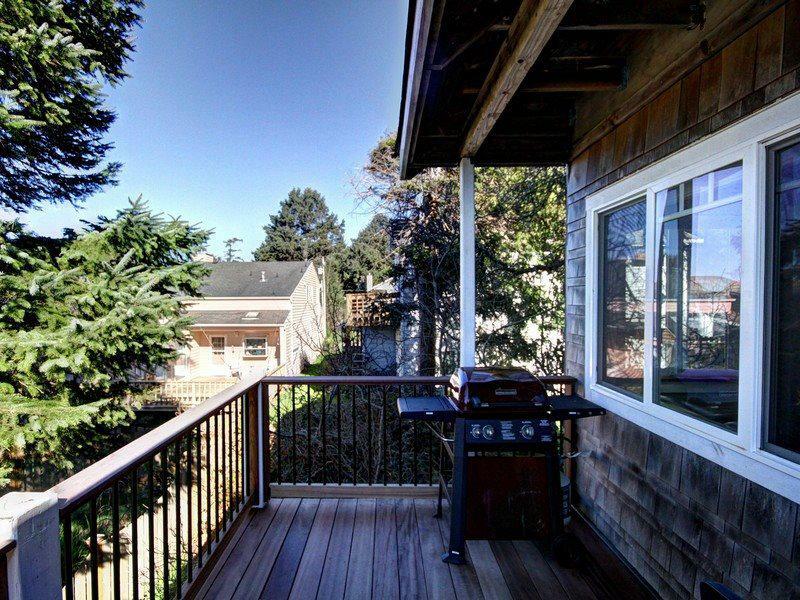 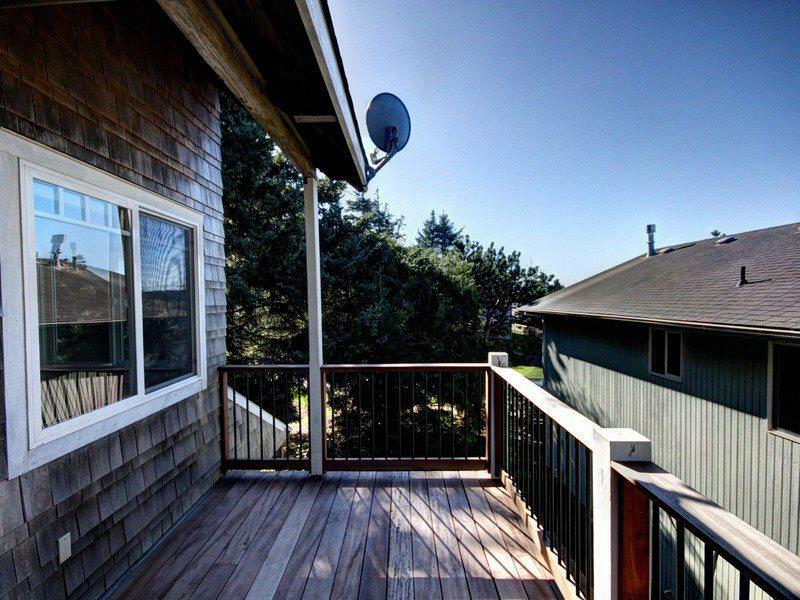 A wraparound deck on the bottom floor means you're free to do a good portion of your relaxing and entertaining outdoors, should the coastal weather permit. 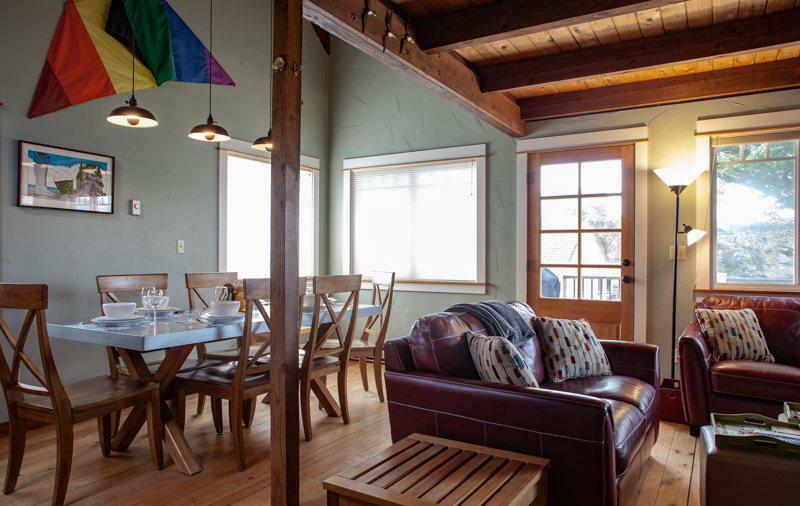 The home's bottom floor functions as a great play area for the little ones, with its kid-friendly arts-and-crafts area and a bit of room to romp. 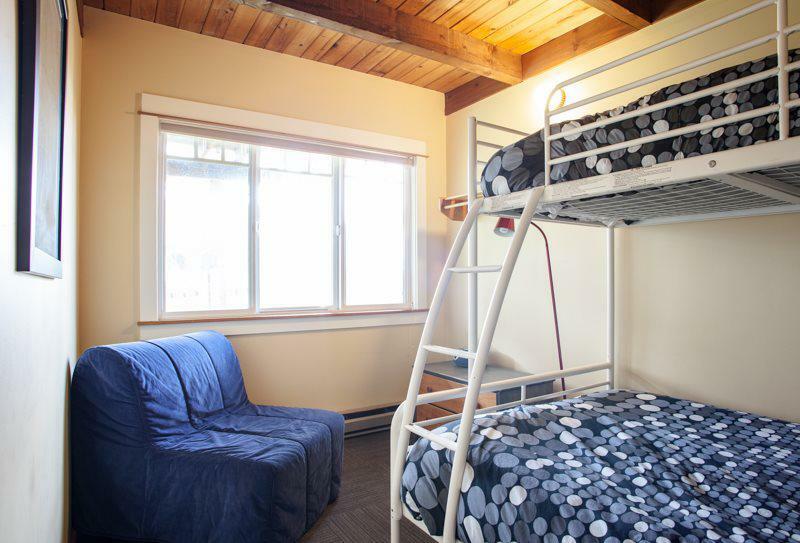 They will also delight in the lower floor's children's bedroom with its pyramid bunk (double bed beneath a single bunk bed) and a sleeper chair in the corner. 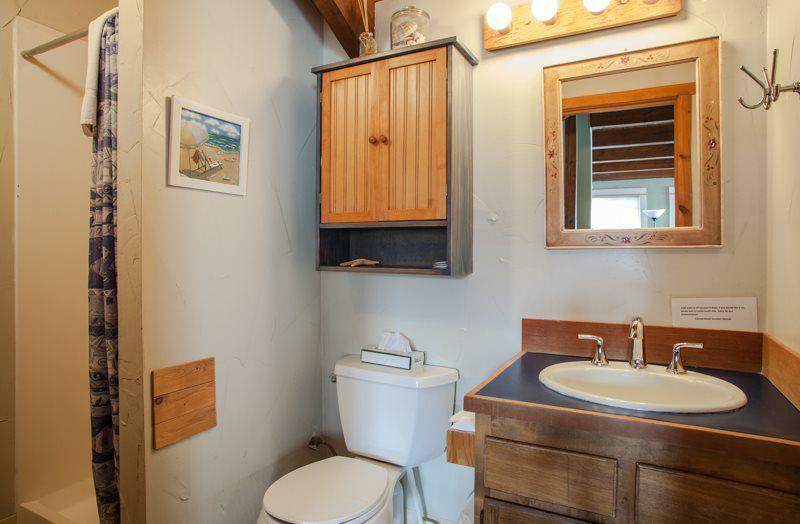 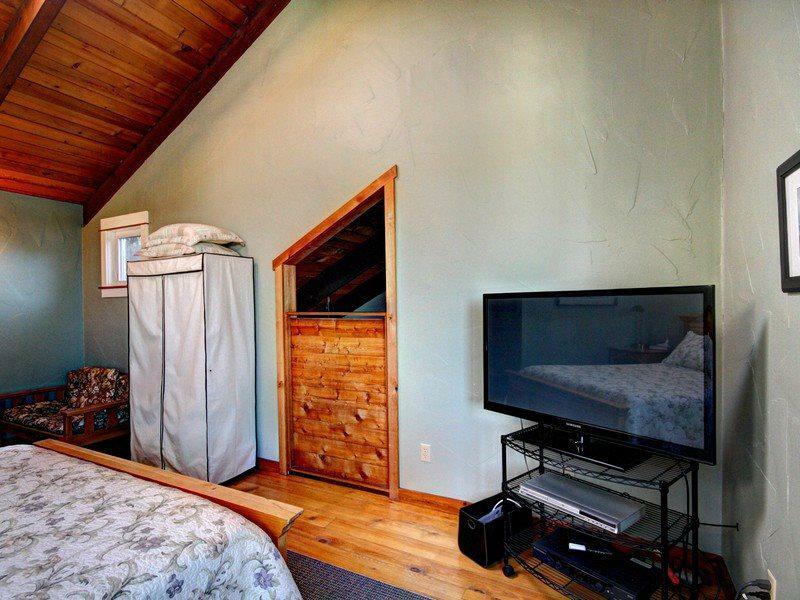 In addition, this floor has a second bedroom with a queen bed and a full bathroom plus washer/dryer. 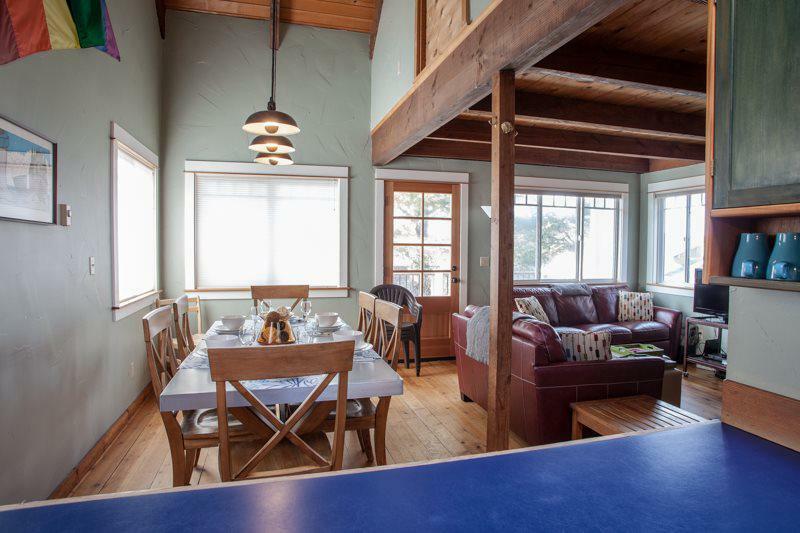 The main floor holds a bright and colorful living area outfitted in blues and greens, with wonderfully high ceilings and an open layout. 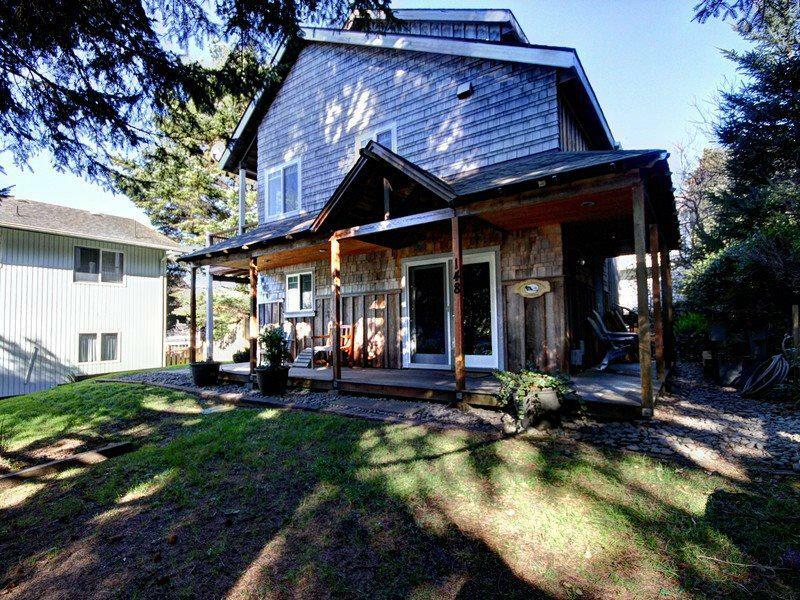 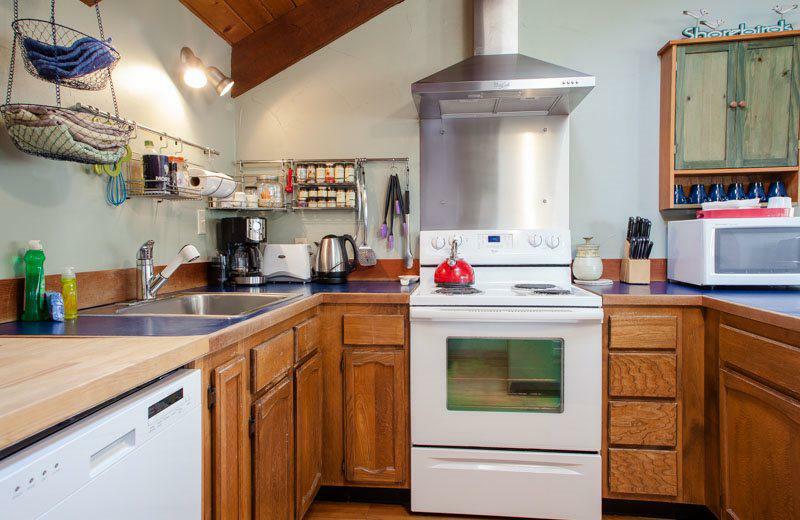 A wood stove located here keeps the heart of the home plenty snug, and you'll all enjoy snuggling in with mugs of hot chocolate in the comfortable living room, which has a TV/VCR/DVD plus ocean views and opens onto a large porch that will have you frolicking among the trees. 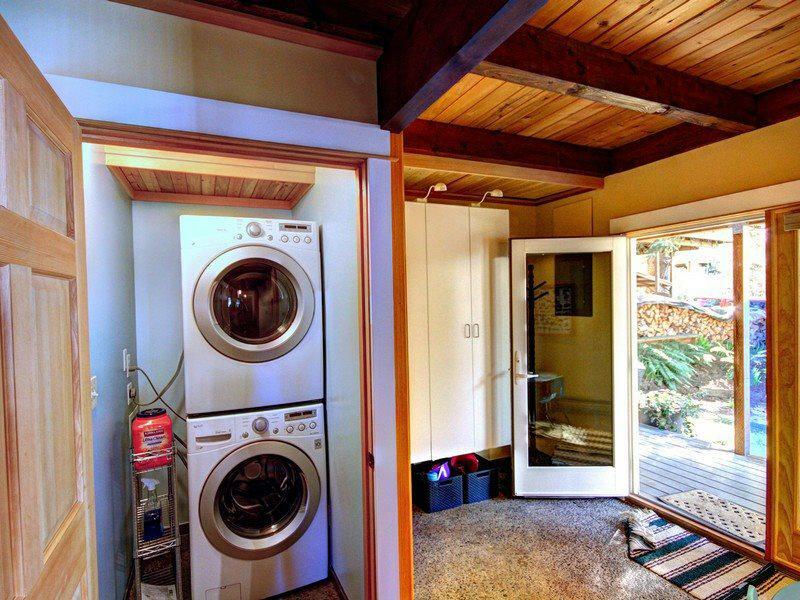 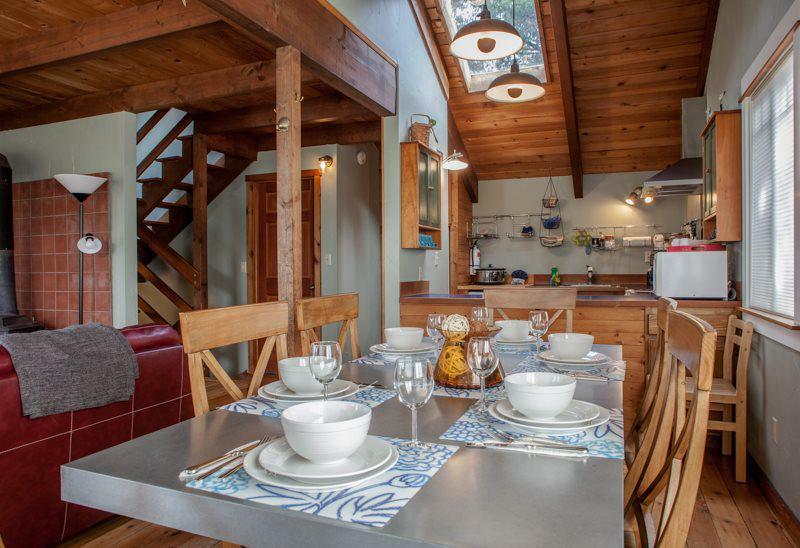 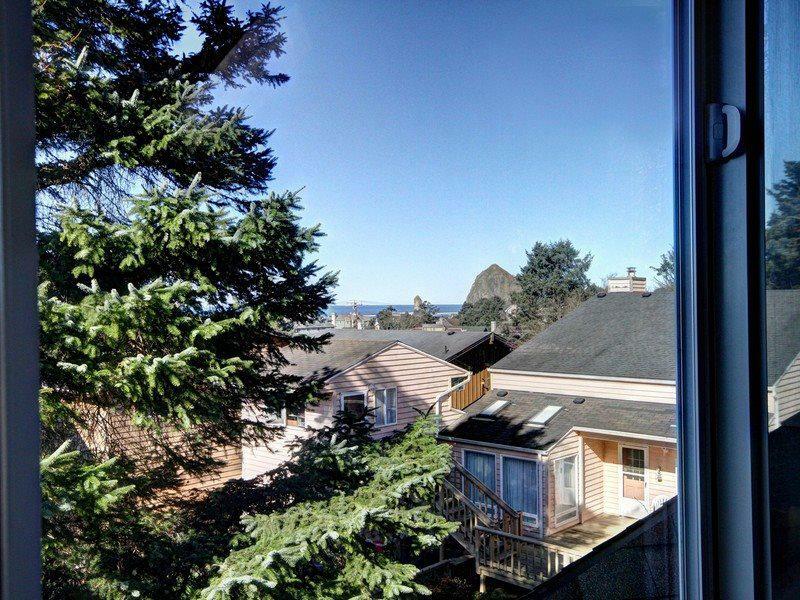 Keep an eye out for fantastic peek-a-boo views of Haystack Rock on this floor. 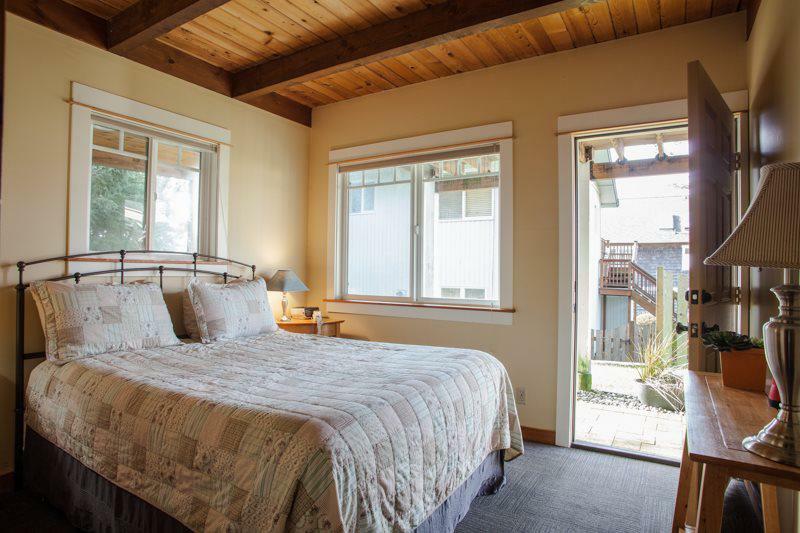 Up on the very top floor, Mom and Dad will appreciate the convenience and luxury of a loft bedroom that peeks out onto the second floor's living area but is still plenty private. 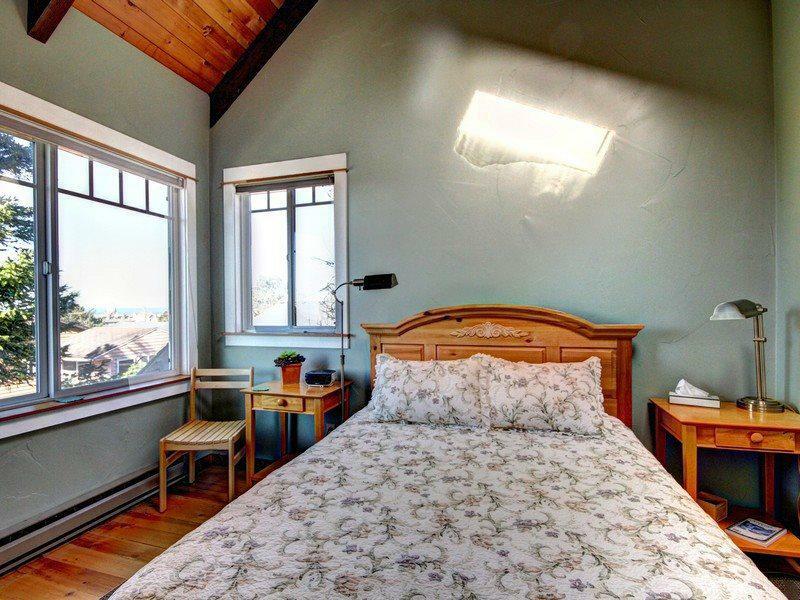 This sky-lit room features a TV/VCR/DVD, a queen bed, and ocean views that spread out over the trees and rooftops. 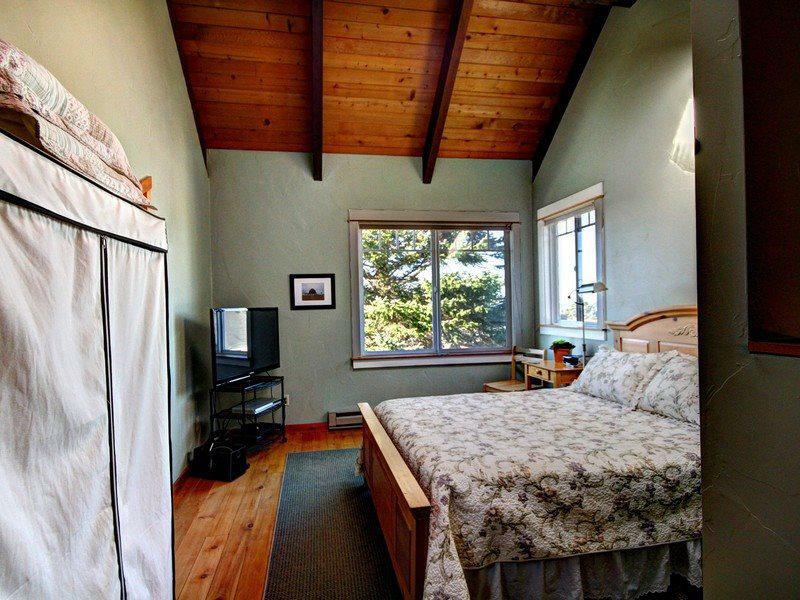 Haystack Rock is also visible from this bedroom. 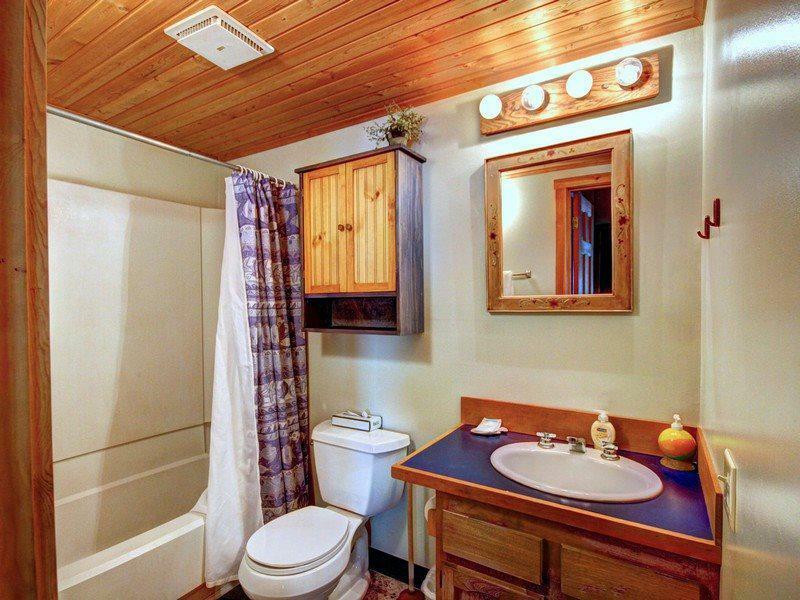 That long-awaited family getaway need not remain the stuff of legends. 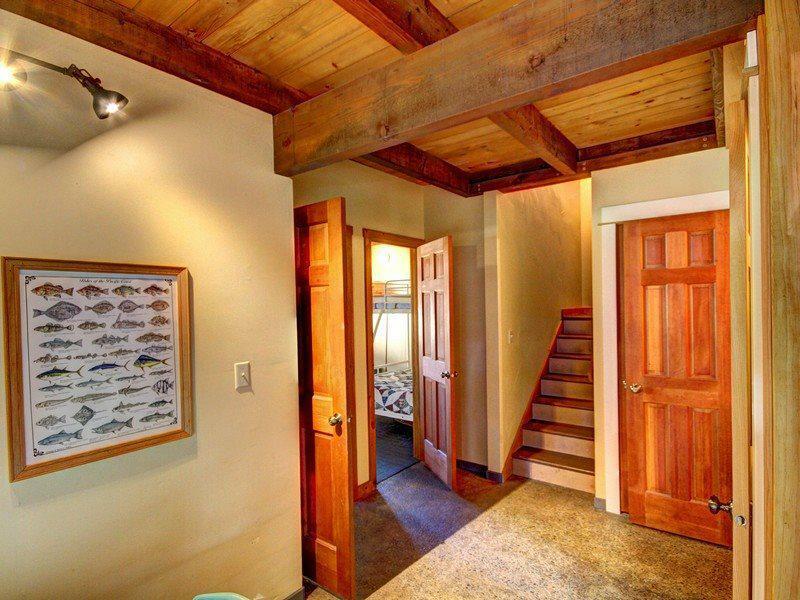 Make your coastal dream a reality in this magical and fantastically equipped storybook home!